Synopsis In the Groove is widely recognised for the guidance it offers to the new bowler as well as its role as a reference source for the established player seeking to improve some particular facet of the game. The contents were developed by a panel of expert State bowlers following an invitation by the former Royal Victorian Bowls Association Coaching Panel to formulate text book standards. This synopsis relates to the latest revised edition published in 2010. Well-drawn diagrams augment the text throughout. 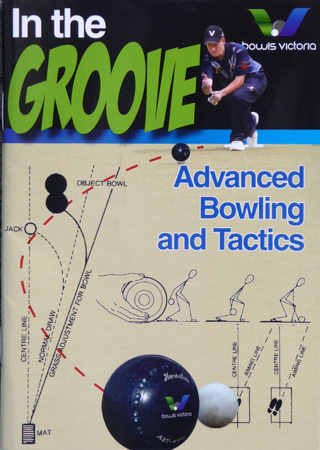 See also The Lawn Bowls DVD Coach, an instructional DVD that follows the principles laid down by Bowls Victoria in In the Groove.